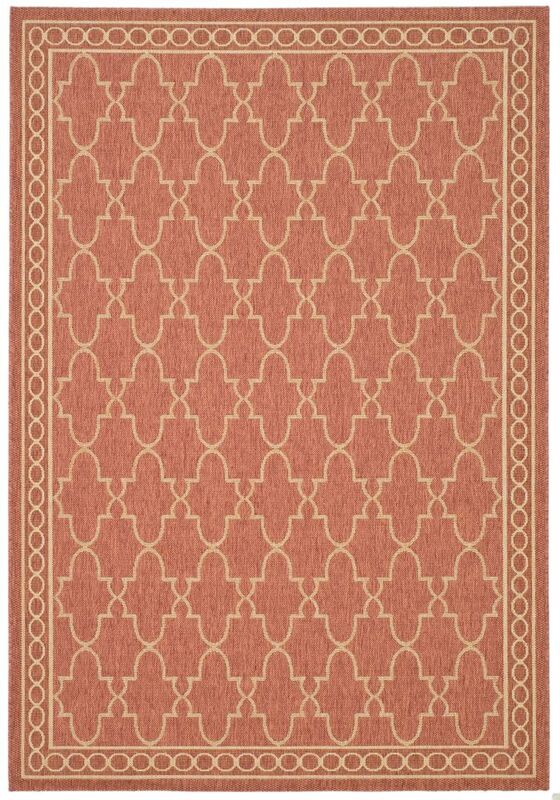 Courtyard Bart Rust / Sand 4 ft. x 5 ft. 7 inch Indoor/Outdoor Area Rug This unique and stylish Safavieh Courtyard area rug will tie any room together in your home. Keep the contemporary look in your home with this indoor/outdoor piece crafted from plush synthetic material. Bring this machine-made rug into your home for a durable interior design option. Modern style meets quality in this geometric patterned orange rug.